Morgan Olson’s aluminum bodies are mounted on Ford, FCCC, Sprinter and soon Ram chassis. This one’s built to haul heavy newspapers. Is everybody happy? It seems so. 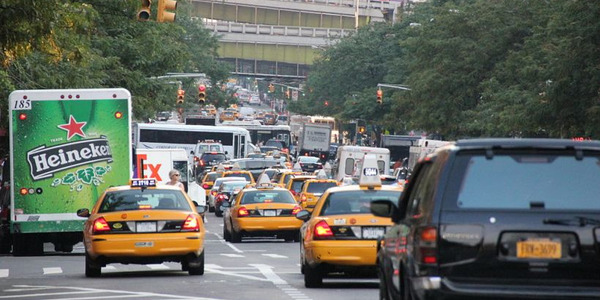 The economic recovery is driving sales and there probably have never been so many cargo van offerings. That judgment comes from Morgan Olson, which pioneered the lightweight aluminum step van body with General Motors many years ago. 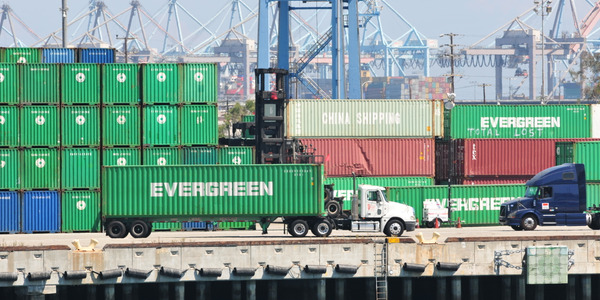 Today it builds and installs them on platforms from Ford, Freightliner Custom Chassis, and soon Ram, according to Allan Young, director of sales. This won’t be a record year, falling at the low end of the 10,000 to 15,000-unit annual pace, he says, but it’s been “stable.” And a new product, the UCV (Ultimate Contractor's Vehicle), is enjoying “amazing sales.” It’s a service body crafted of lightweight composites with stainless steel hardware that claims a payload of 5,000 pounds. It goes on an imported Sprinter chassis-cab platform. 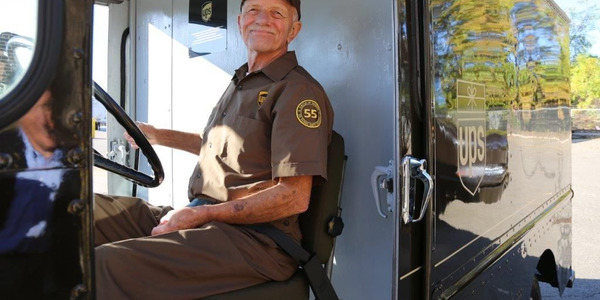 Morgan Olson is the preferred upfitter for the Sprinter, and there's also a Sprinter-based UDV (Ultimate Delivery Vehicle). 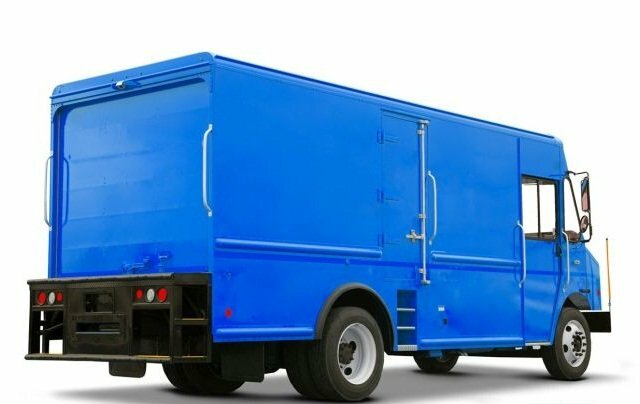 Another collaboration is that of Isuzu Commercial Truck and Utilimaster, which provide the chassis and body, respectively, for the Reach walk-in van. It’s assembled by Spartan Motors, which also does Isuzu’s NPR Gas truck. Its high-volume, impact-resistant composite body features easy access for drivers, and the 3-liter diesel from the NPR EcoMax provides good performance and excellent fuel economy. 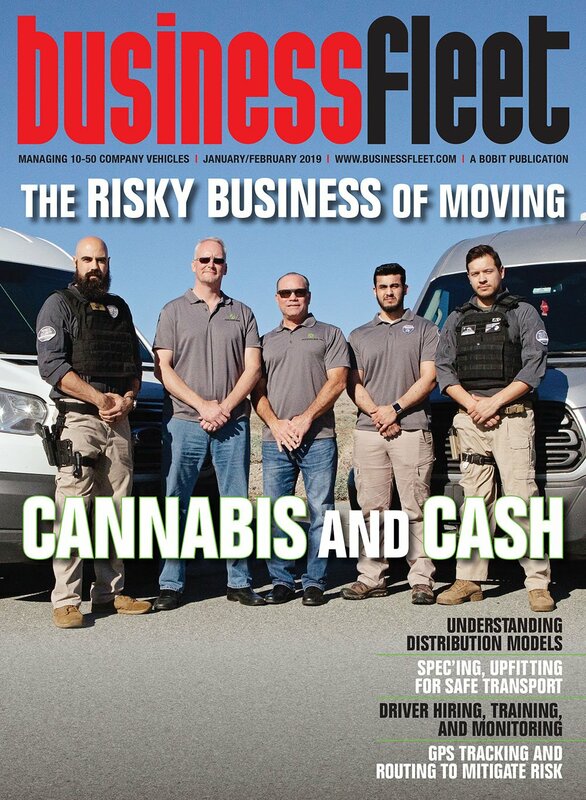 “We’ve sold a little over 4,000,” says Brian Tabel, Isuzu’s director of marketing, “the majority to FedEx Express,” which finds the Reach’s 640-cubic-foot body just right for many routes. UPS has also bought some. 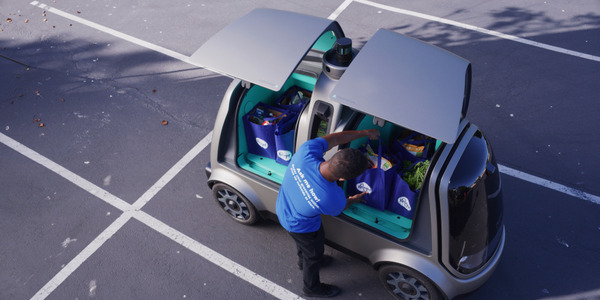 “We also have some retail customers, who use it for deliveries,” he says. Sprinter was the original provider (in 2001) of Euro-style unibody vans in North America. Sales of Freightliner and Mercedes-Benz Sprinters are up 22% over last year, and up 35% in August, says Claus Tritt, general manager for operations. He notes that the Sprinter line last year got a major redesign, with new styling and safety features, and a new 4-cylinder diesel with a 7-speed automatic transmission. 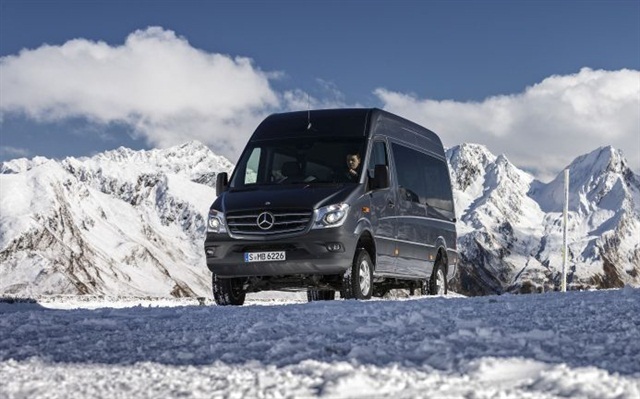 Ski resorts are one type of customer that might buy a Sprinter 4x4. Introduced in Europe last year, it’s coming to North America as a 2015 model in January. New for 2015 in the U.S. is a Super High roof option that will add another 10 inches to an already tall profile, plus electronic crosswind-assist that uses automatic selective braking to counter high lateral winds, and, in January, an on-demand four-wheel-drive with a 2-speed transfer case. All Ford Transit models are made with high-strength steel to enable them to cary 600 pounds more in payload. 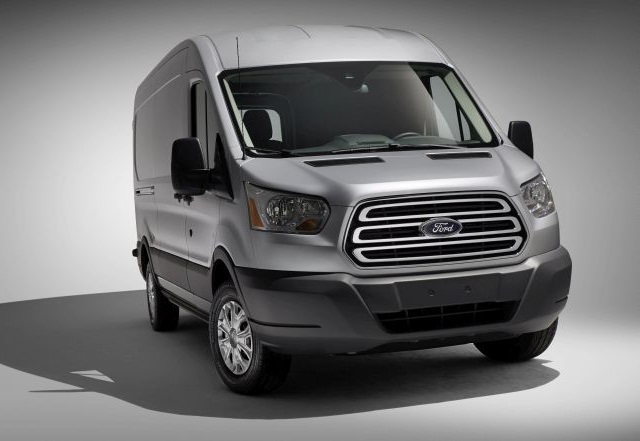 Ford Motor began building its large unibodied Transit in June. It’s been so well received that it’s already pushed aside the venerable and class-leading E-series cargo van, says Yaro Hetman, brand manager. The E continues as cab-chassis and cutaway-cab versions, and probably will into 2019. 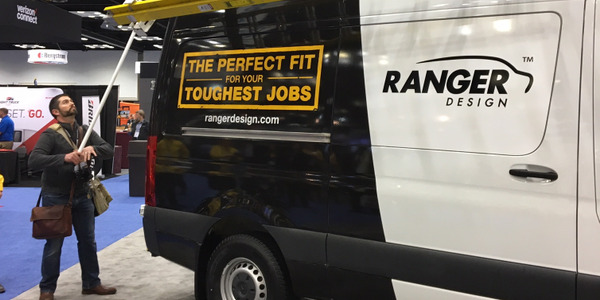 All Transit models are made with high-strength steel “so they carry 600 pounds more in payload, and fuel economy is 46% better than the Econoline before it,” he said. Transit production is ramping up toward the planned 58 variants. There are three roof heights and two wheelbases, and two gasoline V-6 engines with a diesel coming later. So flexible is the Transit that “11 of the country’s top upfitters have located facilities within 20 miles of our Kansas City plant,” Hetman says. The new compact stream-styled Transit Connect has also taken off well, and will probably exceed the success of the plainer, boxier TC wagon and panel van. It started a trend toward “right-sizing” – high volume in a small footprint with a small, economical powertrain for those who carry bulky but lightweight items. The new Transit Connect, built in Spain, comes with two wheelbases and two 4-cylinder gasoline engines, including a 1.6-liter turbocharged EcoBoost rated at 23 mpg city and 30 highway. 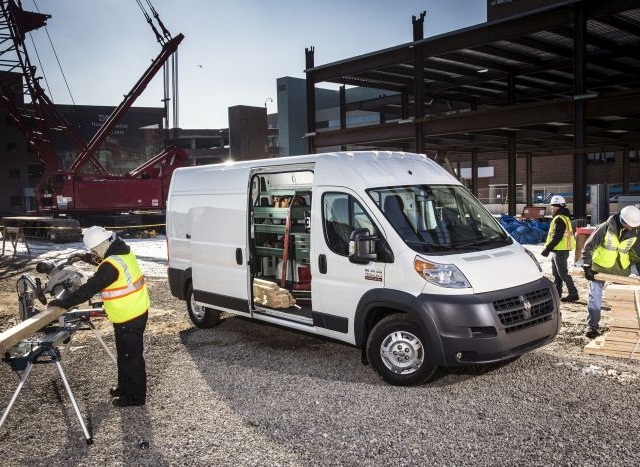 Based on the high-selling Fiat Doblo, the Ram Promaster will offer an 1,833-pound payload, improved fuel economy and 4.5 feet of room between wheelwells. 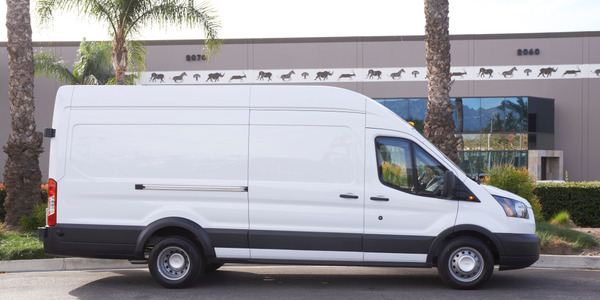 The large Fiat Ducato-based ProMaster, Americanized and assembled in Mexico, has been a hit, reports Bob Hegbloom, head of Chrysler Group’s Ram truck brand. “We’re coming up on our first birthday; 945 dealers are selling the product, so dealers are getting active in the commercial business. More important, we’re getting more market share. 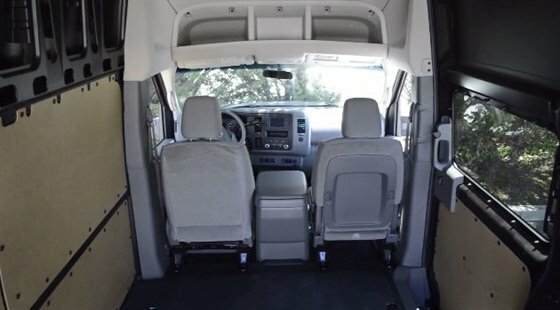 We’re now trending toward 18-20% of the Class 2 large van segment, the heart of the market where Promaster plays,” he says. The Class 1 Promaster City is due to launch soon, with vehicles at dealers in late December, according to Rob Rizzo, marketing manager. Based on the high-selling (1.3 million in Europe and elsewhere) Fiat Doblo, it will be built in Turkey, have an 1,833-pound payload, good fuel economy, and 4.5 feet of room between wheel wells – important for pallet loading. Its gasoline powertrain includes a 9-speed automatic transmission. The ProMaster City will replace the Dodge Caravan-based Ram C/V, which will be phased out at the end of 2015. Nissan's large body-on-frame NV 1500, 2500 HD and 3500 HD vans sales are up 21.9% over last year. Sales of Nissan’s large body-on-frame NV 1500, 2500 HD and 3500 HD vans are up 21.9% over last year, and go mostly to small business people. They’re built in Mississippi and come with gasoline V-6 and V-8 engines. “We’re an upstart,” O’Conner says. 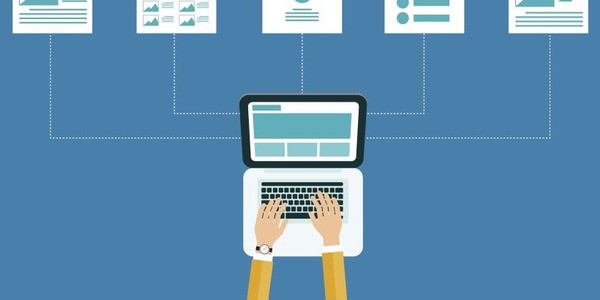 “Our competitors have been in this for decades. We’re now the only manufacturer building a full-size vehicle on a separate frame with a high roof. We know we have to prove ourselves and that’s why the warranty” – recently launched 100,000-mile, bumper-to-bumper coverage for all commercial vans, small and big. In 2015, the light duty 1500 series is no longer available, leaving only the 2500 and 3500 series vans and 4500 cutaway. Despite the popularity of the new unibody cargo vans, General Motors says it's seeing continued success with its traditional body-on-frame G-series vans, the Chevrolet Express and GMC Savana. “We literally are selling every one we can build,” says Joe Langhauser, product manager. “People we have never seen before are showing up on our doorstep because they appreciate the body-on-frame design. They’re less concerned about the outside sheet metal, but they are very much concerned about the underlying frame structure” that, if intact, allows a G-van to continue working even after panels are damaged. That might be a problem with the new unibody vans, he thinks. 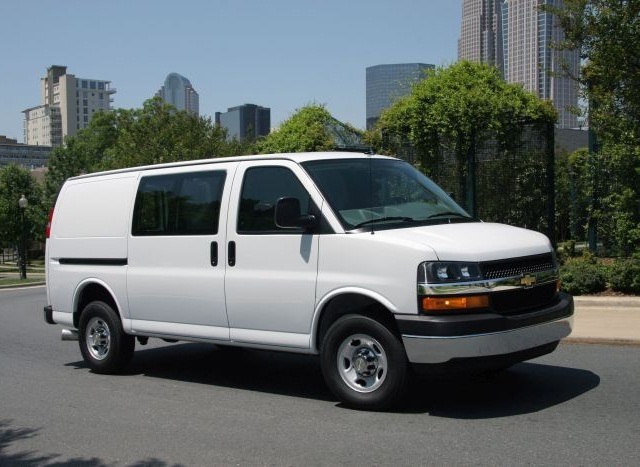 Most Chevy and GMC vans are ordered by fleets, he says. Gone is the light-duty 1500 series and its 4.3-liter V-6, leaving only 2500- and 3500-series vans and a 4500 cutaway. These come with the 4.8- and 6-liter gasoline V-8s, and the 6.6-liter Duramax diesel V-8. 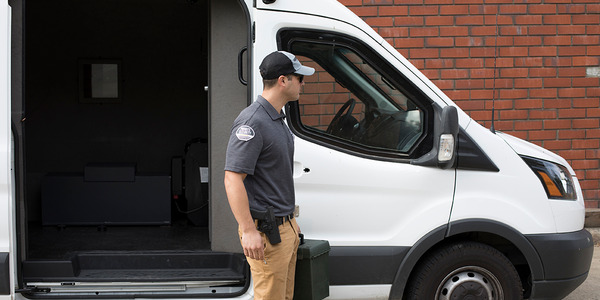 Among 2015 refinements for G-vans are less costly digital-only radios and LED lighting in cargo areas, replacing fluorescents. The new compact Chevrolet City Express, a rebadged Nissan NV200, will be on sales lots in November. “From what we hear from dealers, they can’t wait to get their hands on them. We expect to take our fair share of the market,” Langhauser says. “Nissan had a year jump start and it’s performed close to where we expected. 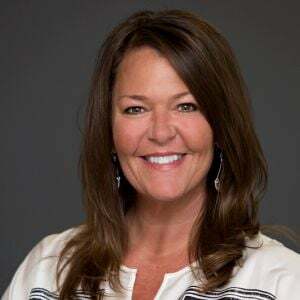 We expect to leverage our dealership network, which is significantly better (there are about 3,000 Chevy dealers), and we have over 500 Business Elite dealers” that focus on commercial accounts. Daimler plans to introduce the rear-wheel drive Vito mid-size van sometime in the fall 2015 in a MY 2016 designation. It comes with a 3.5-liter gasoline engine. Following on the success of the Sprinter van in the U.S. market, Daimler plans to introduce a mid-size van sometime next year. 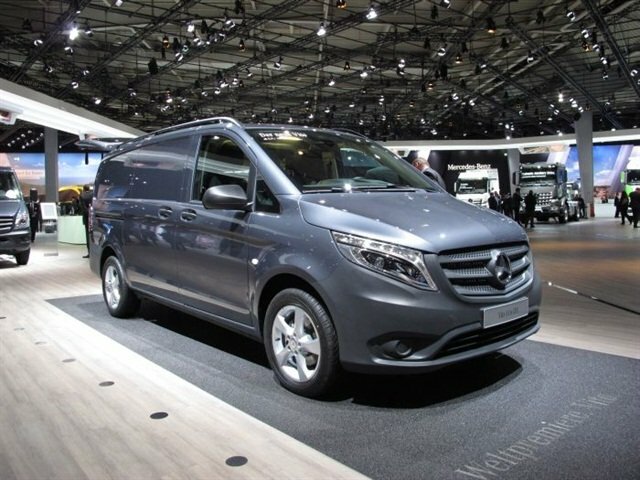 The van made its debut in Berlin, Germany in late July, but Daimler execs were coy on an actual release date for the American version of the van, saying only that it would be introduced in the fall 2015 in a MY 2016 designation. It's known as the Vito in Europe and Mexico, but Daimler executives speaking to reporters during the IAA Commercial Vehicle Show in Hanover Germany referred to it as the VS20. What we know so far it will be a rear-wheel drive with a 3.5-liter gasoline engine. It will come in cargo and passenger versions, with simple configurations and what is described as a long wheelbase. It will be sold only through Mercedes-Benz dealers in the U.S., not at Freightliner dealers as the Sprinter is. 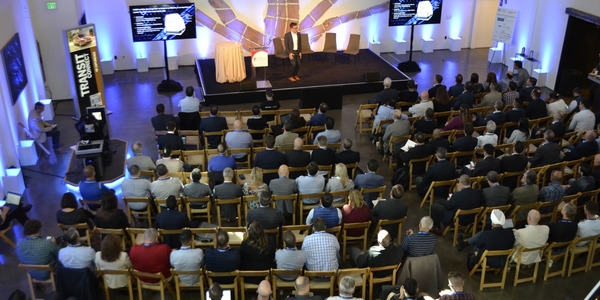 Bernhard Glaser, vice president and managing director for Vans at Mercedes-Benz USA says the van will be well suited to plumbers, trades people and the like looking for a vehicle they can operate from home. "The VS20 will fit into a home garage," he says. It's not too tall and not too long. It's the kind of van a customer will be able to park at home, even on residential streets that prohibit the parking of commercial vehicles."